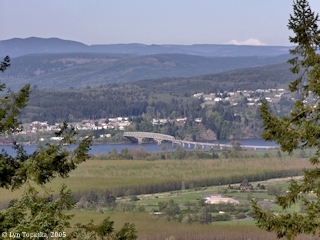 The Cathlamet Channel is the 10-mile long waterway on the northeast side of Puget Island separating the island from Cathlamet, Washington and the Washington shore, while the main channel of the Columbia River is on the southwest side of Puget Island separating it from the Oregon shore. The downstream end of the Cathlamet Channel joins the main channel of the Columbia River at River Mile (RM) 37, across from the lower end of Tenasillahe Island and following the shoreline of the Hunting Islands. 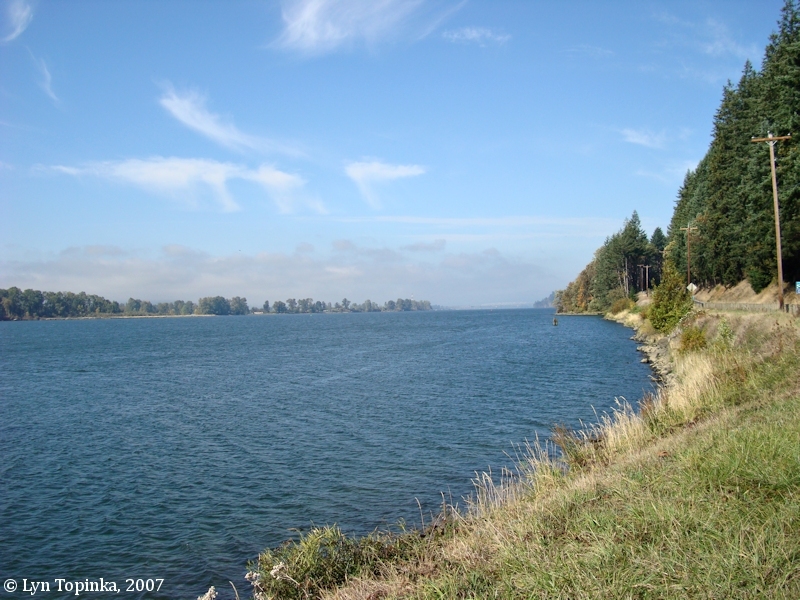 At the upstream end of the Cathlamet Channel lies Nassa Point. The Washington State Route 409 bridge crosses between Puget Island and Cathlamet. 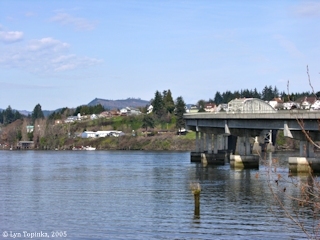 Click image to enlarge Cathlamet Channel as seen from Puget Island, Washington. Image taken March 5, 2005. Click image to enlarge Cathlamet Channel from Nassa Point, Washington. View from Washington Highway 4. Image taken October 13, 2007.